Ulla Karttunen is a Finland-based multidisciplinary artist, who has focused on ’digital icons’ and other digitally and manually manipulated images and installations, but has also made critical interventions, performances, and conceptual projects. Karttunen has exhibited recently in Florence, London, Los Angeles, Helsinki, Berlin, Porvoo, Leipzig, Joensuu, Weimar and Ljubljana. She is interested in questions concerning art and society – power relations, censorship, gender, artistic activism – and has recently given lectures at conferences in Prague, Yokohama, Torino, Warsaw, Vienna, Genoa, Cartagena and Beijing. She has written and published approximately 200 essays on philosophical questions in contemporary art and socially critical everyday aesthetics. Alchemist, activist, mystic, social critic and philosopher – Ulla Karttunen’s art connects opposite spheres. She uses banal materials like media junk, ketchup or toilet paper to construct portraits of unlikely saints or to depict the blind spots of society. Karttunen’s visual art is documented in artist monographs published in 2009, 2011 and 2014. The name of one of these books, Ulla Karttunen, A Modern Mystic (Publications of the Joensuu Art Museum 1/2011), tells of her artistic inclinations: she is not only an avantgardist or a social critic but could also be seen as a mystic or visual philosopher of our digital age. For her pioneering work in multidisciplinary art, Ulla Karttunen was awarded a 5-year grant for artistic work by the Finnish state at the beginning of 2015. 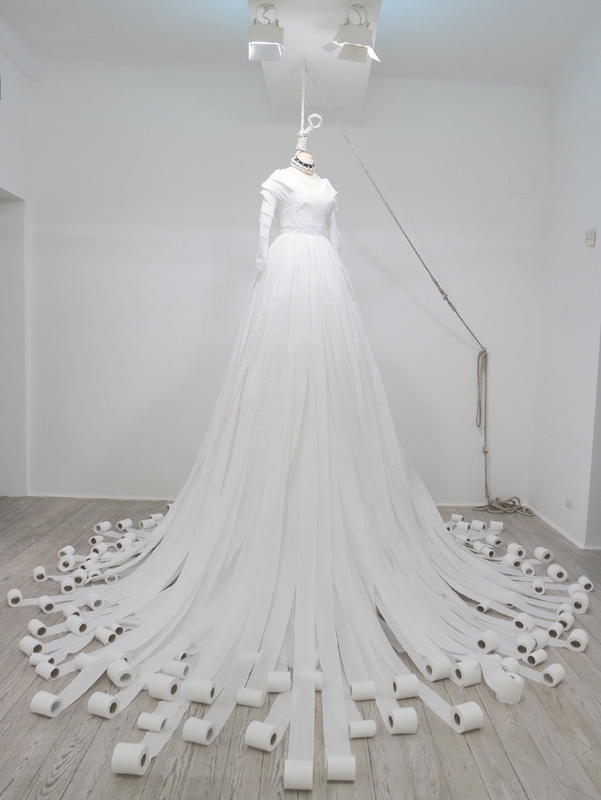 Karttunen’s installation Donna Criminale was awarded The Best Project Prize 2016 in the international contemporary art prize Taboo at Galleria Poggiali & Forconi in Florence, Italy.